Short Back & Sidewalks are putting together a great fundraising exhibition and event to help them to take their important venture Australia wide. Going down on Sunday, June 24 at Bivouac Canteen & Bar the exhibition will feature photography, food, drinks, music, an auction and a raffle. Food and drinks are complimentary for the first hour and tickets are just $40. 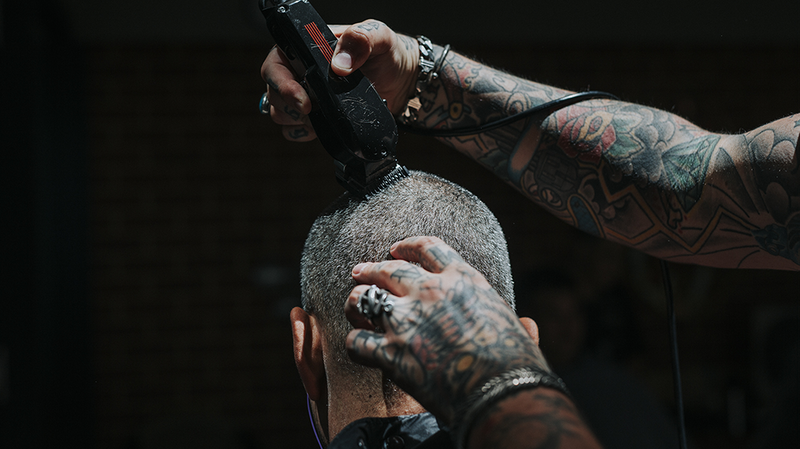 Short Back and Sidewalks is Australia’s leading haircutting service for people experiencing homelessness or the effects of poverty, distress, sickness, disability, destitution, suffering, misfortune or helplessness. They do this free of charge, and free of judgement. View the work of incredible photographers Jacqueline Jane, Matsu and Ta-ku. Some of their favourite images will be showcased and made exclusively available to purchase. An exclusive exhibition soundtrack will be curated for the evening by groundbreaking WA beat-maker Ta-ku, plus DJ extraordinaires Charlie Bucket and Rok Riley. There will be a live auction of a stunning portrait by local Perth artist Arabelle O’Rourke, who has created a limited edition piece that will also be on show on the day, and there will also be a raffle that will have prizes including a dinner for four at Bivouac, signed Ta-ku records and goodies, plus photographs and a one hour photography session with Jacqueline Jane. Help Short Back and Sidewalks take their venture Australia wide by heading to Bivouac Canteen & Bar on Sunday, June 24. Tickets on sale now from Oztix.